Here's where we'll post kudos to Young Cultivators who've earned merit badges. Remember, if you submit a photo with your merit badge application your creation will be displayed here for other forum members to see. Montana Baker, (Young Cultivator of Kyria Baker, #991) has received a certificate of achievement in Each Other for earning a beginner level Thank You! badge! "I kept a gratitude journal every day for two weeks." Montana Baker, (Young Cultivator of Kyria Baker, #991) has received a certificate of achievement in Stitching & Crafting for earning a beginner level All Buttoned Up badge! "I started a button collection by taking all the buttons off some old shirts that are too small for me. Then my mom let me take some from her collection. I now have more than 50 buttons in my collection." Montana Baker, (Young Cultivator of Kyria Baker, #991) has received a certificate of achievement in Farm Kitchen for earning a beginner level All Dried Up badge! "My mom and I went through all the spices in her cupboard. I don't like the way any of them smell (not even cinnamon), but I do like the way they make our food taste!" Montana Baker, (Young Cultivator of Kyria Baker, #991) has received a certificate of achievement in Stitching & Crafting for earning a intermediate level All Buttoned Up badge! "I learned how to sew a button on. I put it on a piece of ribbon to decorate a get-well card. The thread got tangled a couple of times, but my mom helped me get it fixed. It looks great!" Montana Baker, (Young Cultivator of Kyria Baker, #991) has received a certificate of achievement in Cleaning Up for earning a beginner level It's In the Bag badge! "We already have 8 reusable bags that we use for shopping, and going other places like the library." Kaylee Thompson, (Young Cultivator of Lisa Thompson, #953) has received a certificate of achievement in Each Other for earning a beginner level Thank You! badge! "I wrote in my journal for two weeks. I am very thankful for all that I have. I plan to write in my journal more often." Cassandra Richardson, (Young Cultivator of Jerusha Richardson, #1268) has received a certificate of achievement in Cleaning Up for earning a beginner level It's In the Bag badge! "We were to find 3 reusable bags for shopping. I have a large family with 7 children and my mom and dad. I was able to find some old diaper bags that we can use. We had 5 old diaper bags. We cleaned them up with some white vinegar and let them dry. Now we have 5 reusable bags for shopping. We also save the bags from the store and I have been using them over again as trash bags. It's my chore to empty the bathroom trash. I recycle by using the old bags as trash bags. I also asked mom if I can put some away and use them for crafts. I think we may stuff pillows since my brother has lots of allergies. I'm going to use them for another badge I think. I'm 7 and this is a lot of fun." Kaper Greenfield, (Young Cultivator of Laurie Greenfield, #1163) has received a certificate of achievement in Cleaning Up for earning a beginner level Trash Talk badge! "Kaper has made a poster of all the items we can recycle and it is placed above our home recycling center. While shopping she checks each item to make sure that the packaging can be recycled. If we do purchase an item that is packaged in a non-recyclable container she finds another use for it; storage or craft project. We were surprised to discover just how much household waste can be recycled." Kierra Mowery, (Young Cultivator of Jennifer Mowery, #1260) has received a certificate of achievement in Cleaning Up for earning a beginner level It's In the Bag badge! "My daughter Kierra is all for helping our whole family "go Greener" she is the first to remind others to shut off lights, turn off water and recycle and now is responsible for telling me "mom don't forget the reusable bags," when we go the stores. It is going great..she is very helpful by doing this. When we head to town I usually am planning meals and lunches and I sometimes forget to grab them..not anymore that I have my helper!! She's even encouraging her little brother to help her with her green quest! I am so proud!" Emily Nelson, (Young Cultivator of Kristina Nelson, #800) has received a certificate of achievement in Each Other for earning a beginner level Let's Go To Town badge! "My mom got us library cards in our own names. We found program sheets for the Fun Club and Summer Reading program. We go to the library every Thursday." Emily Nelson, (Young Cultivator of Kristina Nelson, #800) has received a certificate of achievement in Garden Gate for earning a beginner level Horsing Around badge! "Emily went with us to visit a horse stable. Her older sister is taking English riding lessons. Emily was able to pet the horses and watch her sister ride them. She toured the entire horse stable and absolutely loved it." Emily Nelson, (Young Cultivator of Kristina Nelson, #800) has received a certificate of achievement in Stitching & Crafting for earning a beginner level All Buttoned Up badge! "Emily collected over 25 different buttons. We recycled a glass jar for her to store them in, which will go in her hope chest. 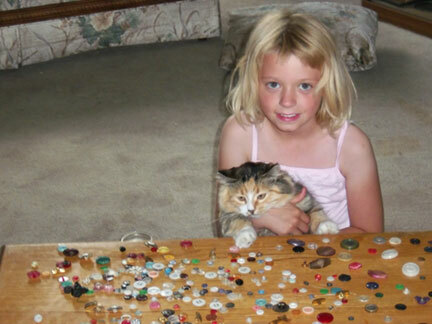 She received buttons in the mail from extended family and friends." Kaitlin Nelson, (Young Cultivator of Kristina Nelson, #800) has received a certificate of achievement in Garden Gate for earning a beginner level Horsing Around badge! "Kaitlin went with us to visit a horse stable, along with her other sisters. She toured the stable with all of us, pet horses, and watched her older sister take a riding lesson." Kaitlin Nelson, (Young Cultivator of Kristina Nelson, #800) has received a certificate of achievement in Stitching & Crafting for earning a beginner level All Buttoned Up badge! "Kaitlin collected over 25 different buttons. Kaitlin is storing her collection in a recycled canning jar. It will be stored in her hope chest and she will continue to collect more buttons." Stephanie Hatton, (Young Cultivator of Kristina Nelson, #800) has received a certificate of achievement in Garden Gate for earning a beginner level Horsing Around badge! 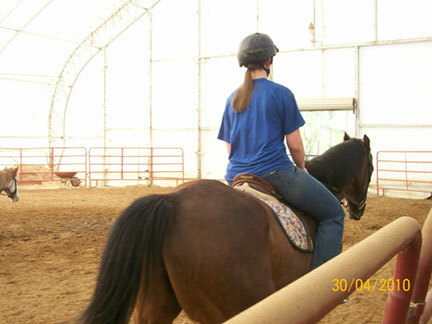 "Stephanie toured a horse stable with her sisters and myself. She was introduced to all of the horses, was able to pet some, and watched her older sister take a riding lesson." Stephanie Hatton, (Young Cultivator of Kristina Nelson, #800) has received a certificate of achievement in Stitching & Crafting for earning a beginner level All Buttoned Up badge! "Stephanie collected over 25 different buttons and is storing them in a recycled canning jar. She continues to collect them and is storing her buttons in her hope chest." Trisha Miller, (Young Cultivator of Lori Miller, #1404) has received a certificate of achievement in Stitching & Crafting for earning a beginner level Weaving In and Out badge! "I braided myself a friendship band." Madison Taylor, (Young Cultivator of Tina Taylor, #1399) has received a certificate of achievement in Cleaning Up for earning a beginner level It's In the Bag badge! 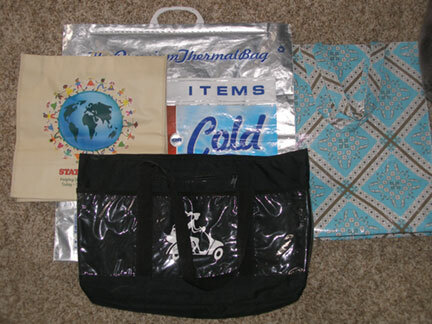 "I have been using reusable bags for awhile. I picked four of my favorites. The ones I usually grab. It turned out great. Since I have been using the bags, I do not have as much bags to recycle. Which is good for our environment." JunFen Freihammer, (Young Cultivator of Joan Van Roo, #1413) has received a certificate of achievement in Stitching & Crafting for earning a beginner level Weaving In and Out badge! "I made a freindship bracelet from yarn. The colors are green, yellow and silver. Turned out good. I am wearing it." JunFen Freihammer, (Young Cultivator of Joan Van Roo, #1413) has received a certificate of achievement in Farm Kitchen for earning a beginner level Table Talk badge! "I learned how to set the table and did it for one month one day a week. I learned where everything should go. I liked it! My grandma is now teaching me to fold napkins all different ways." Trisha Miller, (Young Cultivator of Lori Miller, #1404) has received a certificate of achievement in Stitching & Crafting for earning a beginner level All Buttoned Up badge! "I collected more than 25 buttons to make my own button collection! My kitty cat enjoyed watching me organize my collection." Emily Nelson, (Young Cultivator of Kristina Nelson, #800) has received a certificate of achievement in Garden Gate for earning a beginner level Gone to the Birds badge! "Emily watched birds for more than 2 weeks and kept a journal. She added drawings of birds to her journal as she watched and identified birds." Kaitlin Nelson, (Young Cultivator of Kristina Nelson, #800) has received a certificate of achievement in Garden Gate for earning a beginner level Gone to the Birds badge! "I used a journal to record all the birds I saw. I saw lots of birds and heard the types of sounds they make. They were usually hidden in the trees I had to take the binoculars and look for them, but some times they would come to me. I also heard types of bird sounds on my computer." Stephanie Hatton, (Young Cultivator of Kristina Nelson, #800) has received a certificate of achievement in Each Other for earning a beginner level Thank You! badge! "I kept a gratitude journal for two weeks. The journal showed me to enjoy the little things in every day life." Stephanie Hatton, (Young Cultivator of Kristina Nelson, #800) has received a certificate of achievement in Each Other for earning a beginner level Let's Go To Town badge! "I have had my own library card since I was little. I visit the library very often. Every year I join the summer reading program at my local library."